Check out the Recently Listed Battery Disconnect Switches. Molded energy absorbing roll bar padding suitable for both 40 mm and 50 mm diam tubes. Length 490 mm.Colour black. Homologation FIA 8857-2001 type A. Check out the Recently Listed Gear Bags. Pit Stop USA is The Online Motorsports Superstore! We feature Harness Brake Pads at low everyday prices. Pit Stop USA is The Online Motorsports Superstore! 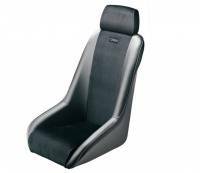 We feature High Density Roll Bar Padding at low everyday prices. Check out the Recently Listed Hood Pin Fastener Kits and Components. Karting neck supports help to keep your helmet upright and relieve stress on your neck during competition. Pit Stop USA offers a great selection of karting neck restraints at low everyday prices. Pit Stop USA is The Online Motorsports Superstore! We feature Lumbar Supports at low everyday prices. These are typically used for karting as they are not fire rated. OMP 40 Years limited edition shoes made of leather with rear bellows for a better comfort and internal in fire retardant knitted fabric. Save Money on OMP Suits by purchasing last years model. Inner collar in soft knitted fabric for maximum comfort. New design handles and slim cut Evo look. Arm bellows in knitted fabric to optimize movements. FIA 8856-2000 Homologation OMP Dijon Vintage Glove features 70's design with fabrics and quality of last generation gloves. Pit Stop USA is The Online Motorsports Superstore! We feature OMP Auto Racing Underwear at low everyday prices. Light and resistant glove with elastic band on the wrist, straight cutted design, inner seams. External layer in aramidic fiber for high use and washing resistance, inner fabric in soft knitted material. Description: Flat steering wheel with aluminium spokes and suede leather handgrip for GT cars. With italian flag coloured stiching. Description: FIA 8856-2000 Homologation OMP 40 Years limited edition shoes made of leather with rear bellows for a better comfort and internal in fire retardant knitted fabric. Description: FIA 8856-2000 OMP 40 Years limited edition shoes made of leather with rear bellows for a better comfort and internal in fire retardant knitted fabric. Pit Stop USA is The Online Motorsports Superstore! The racing spirit has been part of the Percivale family since 1973 when, in a small town near Genoa, Italy, Roberto, Claudio and Piergiorgio began to manufacture roll cages and racing accessories for their own racecars in order to gain a competitive edge over fellow competitors. OMP flourished under Percivale ownership up to 2008 when the company sold to the Delprato family. Now in its 39th year, OMP looks to rise to the forefront of the racing accessories industry, and has added several new and different pieces to its widely popular racing line, including the OMP Sport line along with a new segment of lifestyle racing wear for impassioned enthusiasts looking for the very best gear on and off the track. We feature OMP Racing products at low everyday prices.